How’ve you been? I hope you’re keeping yourself warm? Guess what, Santa: It’s that time of the year again, where we all become spies and secret agents. The Secret Santa game started in office today, and each one of us picked chits and we became the Secret Santa of the person whose name we picked. It’s all hush-hush in office today, with everyone guessing and double-guessing who their Secret Santa is. I’ve been trying to reach you for the past two days, and you’re not answering your phone! I’ve been a good boy this year, Santa. I really have. You gotta believe me. I did my chores, I’ve remained single, I’ve forgiven them all, I’ve forgotten them all, I’ve been honest (to an extent), I’ve been regular on the blogs, I’ve given up trying to quit smoking, I’ve not used more than 150 swear words a day, I’ve not broken many hearts, I’ve not given the finger to many losers, I’ve prayed hard for beer, I’ve worked hard, I’ve partied harder, I’ve hardly touched anything that I’m not supposed to touch, I’ve written no more than 2 hate mails, I’ve haven’t killed anyone or anything, I’ve done all that I could to ensure my level of atrociousness, I’ve washed myself before and after, I’ve been clean (in a non-drug-related way; you know what I mean, Santa; wink wink), I’ve not been wasting my food, I’ve fed a few hungry people, I’ve been nicer to dogs this year, I’ve done my bit for the environment, I’ve stayed out of jail, I’ve donated blood and other body fluids to people in need, I’ve thought really hard about running a marathon, I’ve not made prank calls, I’ve not asked for much from you before, and we both know that you’ve not given anything I’ve asked for, you jackass. That’s it. That’s all I ask. Please? ur mad 🙄 and psychotic and i am glad that we know each other…ha ha ha…!!! wat a small world…. i must say…. hahhahahh…… Thoughtful…. witty….. Humourous….. buddy, you’ve got another regular reader!!! 🙂 That’s a nice game! Did Santa comply? By the way, I like the blog design very much. Loved Santa on the Commode.. did you draw it? Too short a list, don’t you think anyways for having been so nice all year? And hmm..your tags make a good reading too..
Has recession caused the paycheck to be so late? more than 150 words, not bad buddy! and fine ur list doesnt seem longer, dude ask for more… I neva knew that you are so clean! and did i read something about single… I suppose Nikhil is no more single.. No false promises to santa I mean santa clus, buddy!!! that’s it ? U did not even mention the most important adjective , FAT. . A fat paycheck ,and that is my wish for Christmas too :d ! This has got to be the cutest letter to Santa ever! What do you need your Paycheck for? To go get drunk? That cartoon is quite awesome. I always wanted to ask you. Where do you get all the pictures you post on your blog from? jingle bells!!! found ur secret santa yet? I have become so familiar with your style of writing that if anyone just showed me a post and asked who had written it, I would be able to guess if its yours. “I’ve donated blood and other body fluids to people in need”. 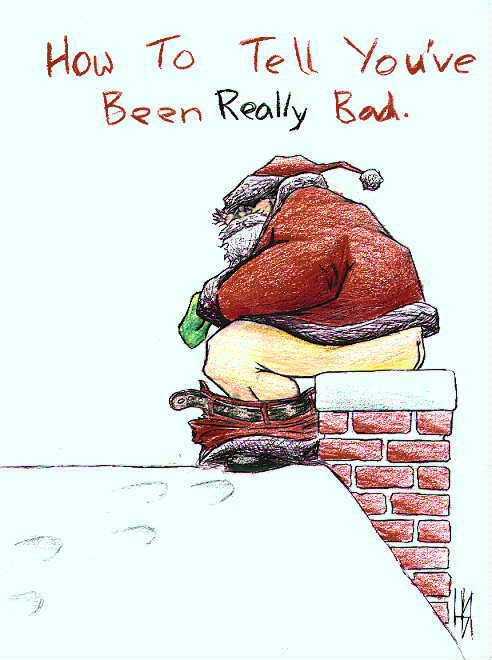 Hope Santa listened and you got the cheque…. Good man. But all u want is ur paycheck? You would get that anyway !!! he he he … your wish is granted. But your paycheck will be taxed, is that ok? ask for somethin bigger!! a ray gun?? space ships?? Start reading calvin and hobbes!! hehehe. is the paycheck the only thing you are wishing for? hehehehe… its really nice post. I liked it.